Alex your designs are so unique. Thanks for sharing. I agree with Scott. I will be making bowls out of 10" stock. 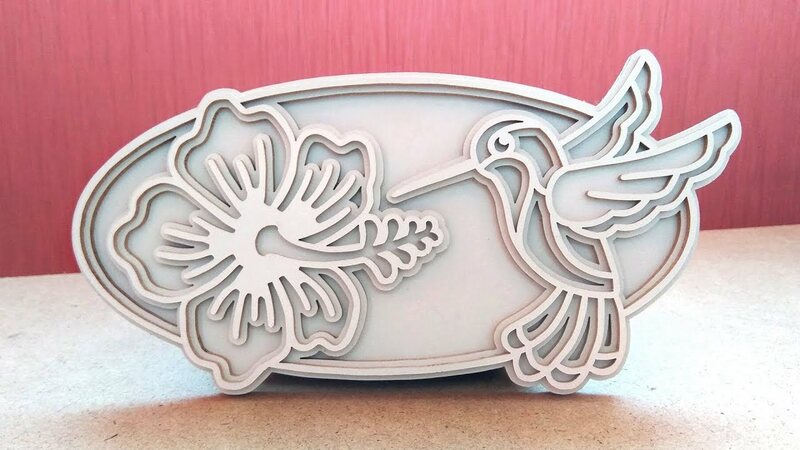 The hummingbird and flower would look fantastic on a jewelry box lid!! This is currently on my saw, trying to see if it can be cut on coins. Lines are very thin so should be fun. Randy, that would be fun to see the finished coin. Well, it lost a lot of it's layered effect when scaled this far down. It was fun cutting it nevertheless. Not sure if I'll try to solder these together, perhaps just use the top and bottom layers. Last edited by hotshot; 02-02-2019, 11:56 PM. I think using just the top and bottom layers will preserve the delicacy of the pattern, and show off the superb cutting. Sure is a pretty one! Another beauty! I really like it cut in a coin.